Stress is an all-pervasive phenomenon in modern day societies and various professions, but the veterinary discipline suffers from the negative effects of stress and its sequelae at a troublingly disproportionate rate. A recent report, written by Richard W. Kim and his colleagues at the DeBusk College of Osteopathic Medicine, Center for Animal and Human Health at Lincoln Memorial University, and School of Public Health at Jackson State University, published in the November 2017 issue of the Journal of the American Veterinary Medical Association, discusses the issue of negative stress in veterinarians and veterinary students and suggests a novel approach in combating this scourge. Negative stress, often called distress, is at the root of many mental health problems and dysfunctional behaviors. Surveys by Centers for Disease Control and Prevention (CDC) and other researchers have found that veterinarians suffer two to three times the prevalence of serious mental illness and feelings of despair relative to the general population. According to a 2015 survey published by Nett et al in the Journal of the American Veterinary Medical Association, it has been reported that almost a third of veterinarians had experienced depression, with as high as 17 percent experiencing suicidal ideation and 1 percent actually attempting suicide. Surveys from the United Kingdom and Canada reflect these dismal trends with disproportionately higher rates of stress-related mental illness among veterinarians. The excessive demands of the veterinary profession are often at the root of such distress. 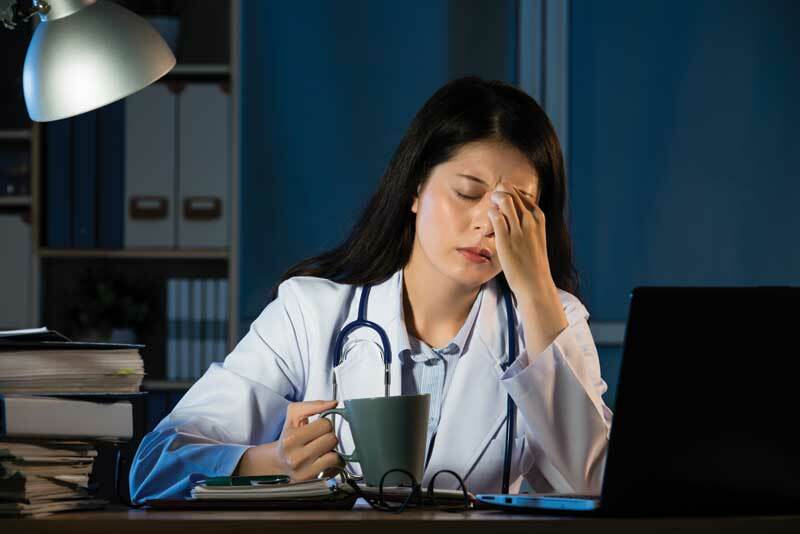 Stressors somewhat unique to veterinarians that precipitate such distress often include adverse effects of performing euthanasia, hostile relationships at work, career growth worries, prolonged work hours, and extreme workload. 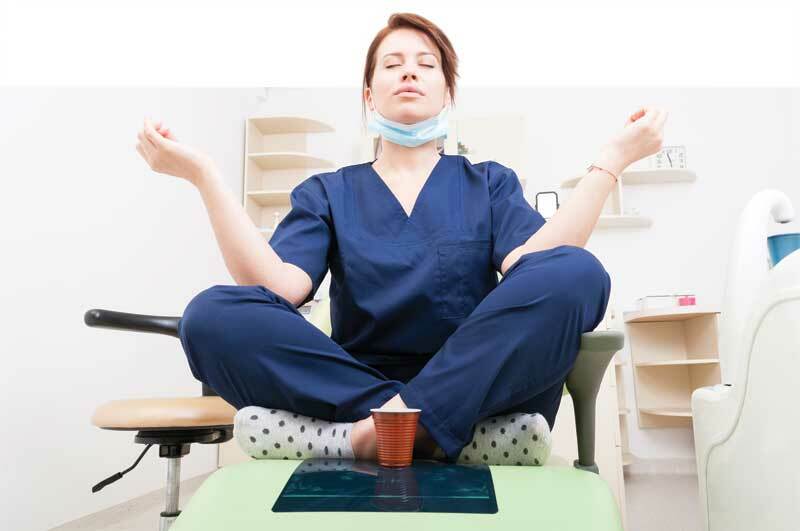 Stress management interventions are an effective antidote to fighting distress. In Practical Stress Management Workbook (7th edition, Academic Press), Romas and Sharma discuss a plethora of stress-reduction approaches. Such approaches often include practicing relaxation, effectively communicating with others, managing one’s anger and dealing with angry people, reducing anxiety tied to the future, healthy eating, regular physical activity, managing time, managing finances, and effective planning. Even the American Veterinary Medical Association advocates such techniques as expressive writing, breathing exercises, and positive thinking for veterinarians to diffuse distress. Unfortunately, such efforts only serve as lip service, with actual behavior change remaining elusive. What Kim and his colleagues present in their article is a novel approach that not only initiates behavior change but also helps sustain that behavior change with regard to managing stress. They introduce a new theory by Sharma developed in 2015 called the multitheory model (MTM) of health behavior change and its application toward helping veterinary professionals start and continue stress-management behaviors. The theory has been tested with a variety of health behaviors, such as physical activity promotion, regulation of portion sizes in diet, giving up sugar sweetened beverages in favor of water, maintaining adequate quantity and quality of sleep, and other health behaviors. Research continues with this theory in several domestic and international settings across a myriad of health behaviors. MTM theory has been derived from several contemporary behavioral and social theories, models, strategies, and approaches, and judiciously juxtaposes salient learnings from the aforementioned well-established theories and models into a unified and pragmatic, synthesized framework that is quite easy to understand and apply. This theory dissects the complex process of behavior change into initiation and sustenance. For veterinarians and veterinary students starting a chosen stress management behavior, the first and foremost requisite is that they must be convinced that advantages of such a behavior change of regular relaxation practice outweigh its disadvantages. Participatory dialogue. In a two-way participatory dialogue between a facilitator and veterinarians and veterinary students, the facilitator can be a senior colleague who has learned and mastered such techniques, a professional health education specialist, a professional counselor, or anyone well versed with these techniques interested in propagating them. Behavioral confidence. Building this confidence can be done via a step-by-step delineation of chosen relaxation techniques, such as progressive muscle tightening and relaxation; autogenic training (warmth and heaviness of different body parts are imagined); visual imagery focused on past, present, or future happy events; meditation concentrating on inner energy or sublimation of thoughts is done; or biofeedback using physiological instrumentation to guide relaxation. In building behavioral confidence, it’s also important to identify one’s sources that help him or her build that surety to perform the relaxation behavior. These can emanate from self, powerful others, faith in a higher power, or other related sources. Physical environment changes. These changes include accessibility and availability of necessary equipment and facilities. If a person does not have access to a quiet place where he or she can practice relaxation behavior for 20 to 30 minutes every day, then efforts must be made to secure access to such a place. If biofeedback is used, the physiological machines must be available, and so on. There are three requisites that must be followed in order to sustain the relaxation behavior. Changes in social environment. This can be done by recruiting natural forms of social support, such as family members or friends that can help one continue the practice of relaxation by doing it with the learner or positively reinforcing his or her efforts or helping in some other way. A health education specialist, a counselor, or other facilitators described earlier also can do this artificially. Practice for change. Kim and colleagues describe it as “… emphasiz[ing] continual mindfulness of behavioral change by engaging in actions conducive to sustenance of the desired behavior.” In simple terms, this means remaining vigilant that the behavior needs to be practiced. This can be done with the help of journaling or using a smartphone app or any other device that monitors and reminds one to practice relaxation. Emotional transformation. One must be cognizant of one’s feelings during the day, especially ones that are negative such as anger, anxiety, and so on, and convert these moments to replace those moods into small goals or practice sessions for relaxation. In a nutshell, Kim and colleagues propose using a novel but well-proven model that uses the best of multiple established social and behavioral theories as a framework for reversing the negative mental health trends in the veterinary profession. They contend that this approach is both intuitively and scientifically sound and must be developed into interventions for practicing veterinarians and veterinary students through face-to-face or online educational programs that promote stress management behaviors. Manoj Sharma, Ph.D., is a professor at the School of Public Health at Jackson State University; Richard W. Kim, MS, is an osteopathic medical student at the DeBusk College of Osteopathic Medicine at Lincoln Memorial University; Gilbert Patterson, VMD, MPH, DACVPM, is an assistant professor and principal researcher at the Center for Animal and Human Health in Appalachia at Lincoln Memorial University; and Vinayak K. Nahar, MD, Ph.D., is an assistant professor and researcher at the Center for Animal and Human Health in Appalachia at Lincoln Memorial University.